Our homemade quiches differ from day to day check the specials board for todays flavour, served with warm with insalata della casa. Our homemade soup served with bread or salad, check the board for todays flavour let us know which is your favourite? Meat and cheese platter, great for sharing, served on a wooden board with fresh baked ciabatta bread as well as olives, roasted mediterranean vegetables and sweet oven roasted tomatoes. Cheese platter, great for sharing, served on a wooden board with fresh baked ciabatta bread as well as olives, roasted mediterranean vegetables and sweet oven roasted tomatoes. 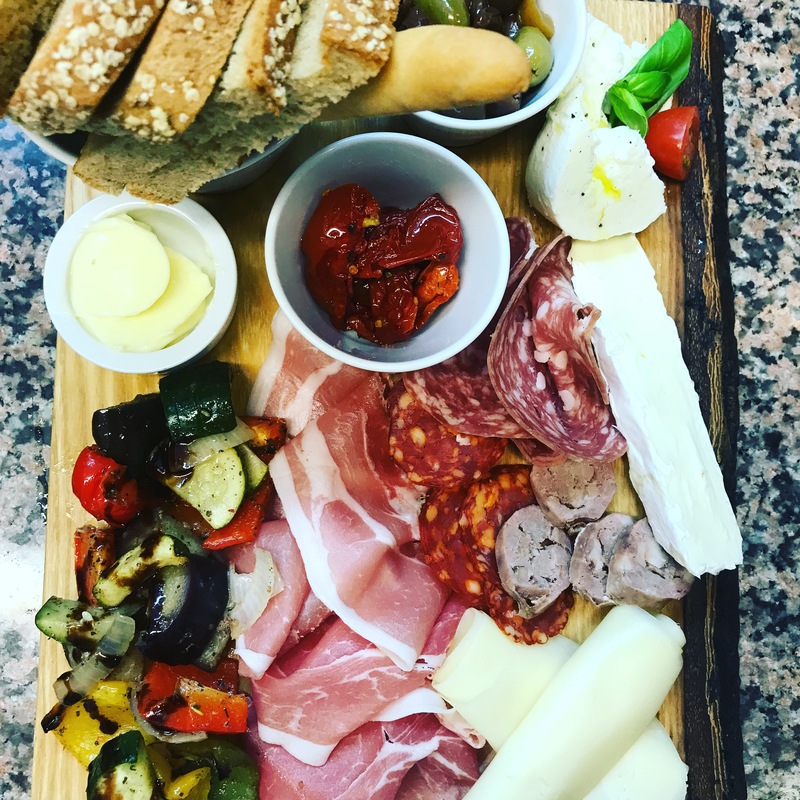 Meat platter, great for sharing, served on a wooden board with fresh baked ciabatta bread as well as olives, roasted mediterranean vegetables and sweet oven roasted tomatoes.